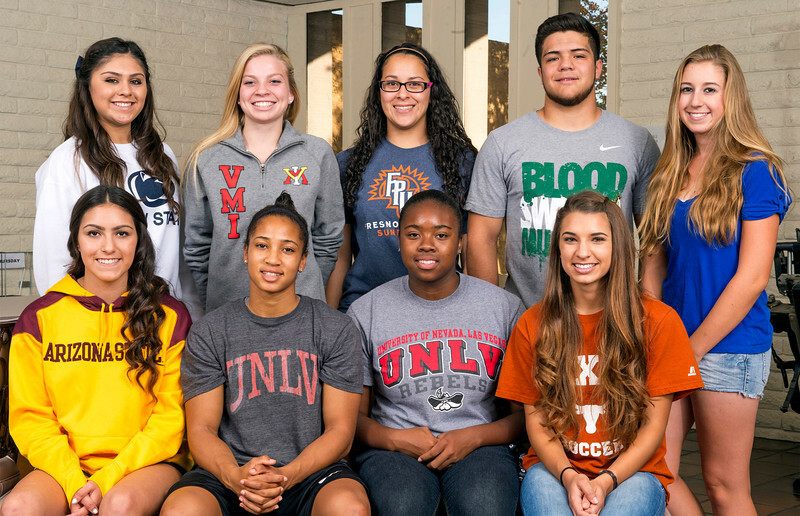 STORY: Dreams became reality for dozens of high school seniors across the Valley who signed national letters of intent on Wednesday, the first day of the early signing period for boys and girls basketball, girls volleyball, baseball and softball, among other sports. 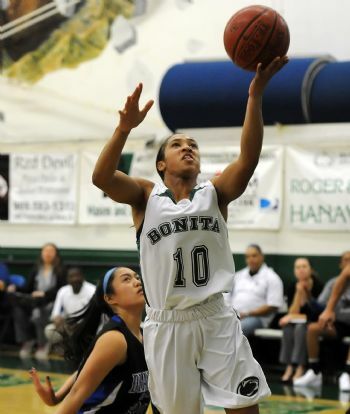 Bonita is expected to chase a CIF-Southern Section divisional title in girls basketball with two of the area’s best players signing with the University of Nevada Las Vegas. 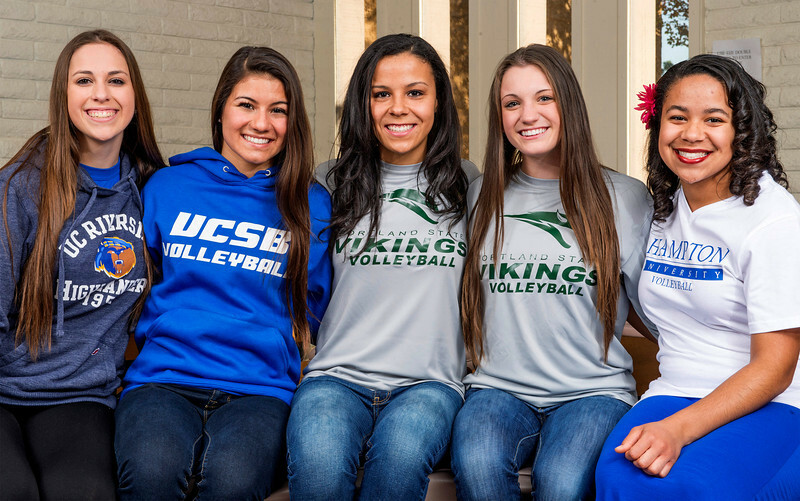 They included two-time Tribune Player of the Year Nikki Wheatley and Kandyce Smith, who transferred to Bonita from La Salle last spring. 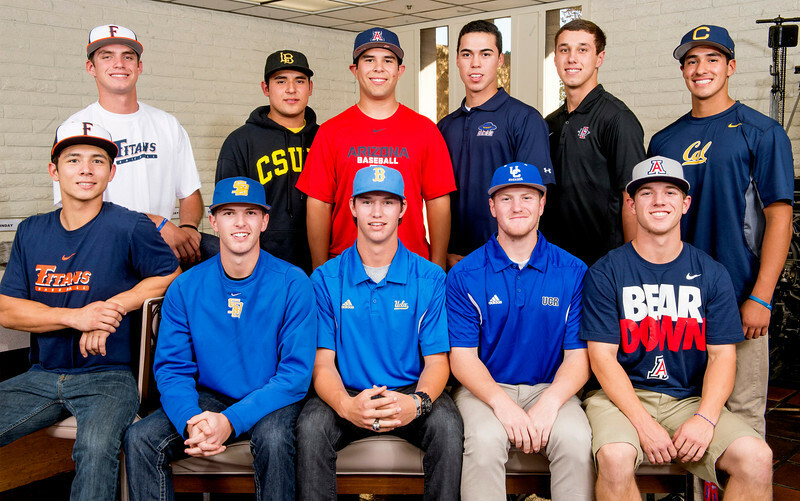 Wednesday, November 13, is the early National Letter of intent signing date for boys and girls basketball, girls volleyball, baseball, softball and all sports with the exception of football, soccer, track and field, cross country and boys water polo. We took our annual group picture at the Tribune and took video of all of them. This entry was posted in Uncategorized by Fred Robledo. Bookmark the permalink. Why is there a soccer girl in here? They aren’t allowed to sign letters of intent until January! 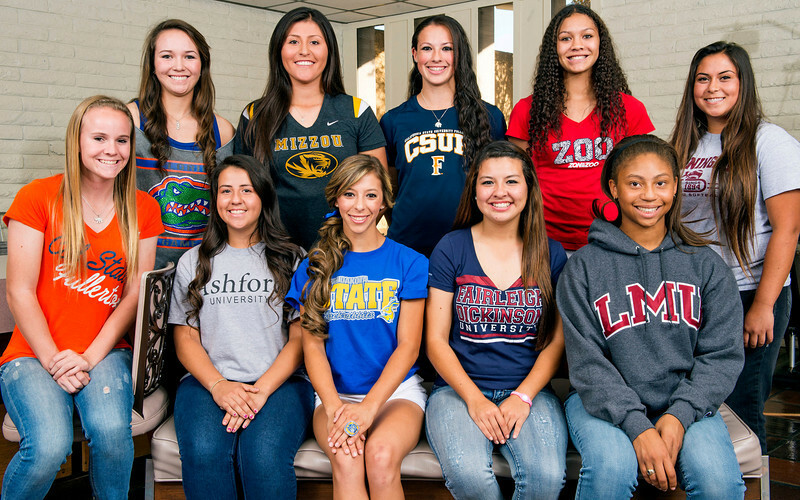 If you were gonna include soccer I’m sure there are about 10 other SGV kids who would have loved to be in this photo! Or football for that matter!